Today, we went to an interview with CellUtane Co Ltd, a manufacturer of sofa, seat chair, cushion, etc. using urethane newly opened on the wholesale and purchase site "SUPER DELIVERY". 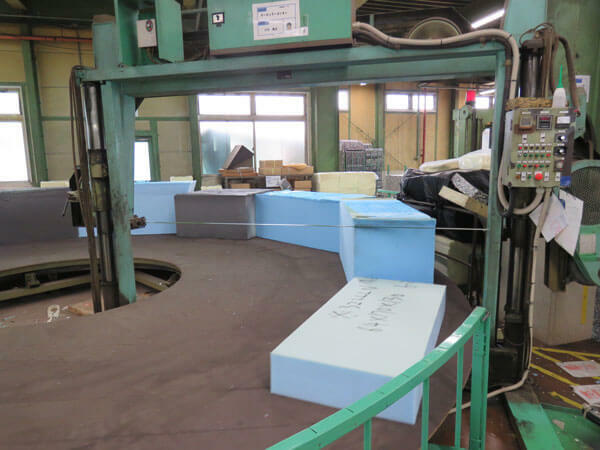 This time, they let us show the special manufacturing plant, and we saw the various processes such as assembling the sofa and parts manufacturing, so we will show that! This is the building which the office is located in. 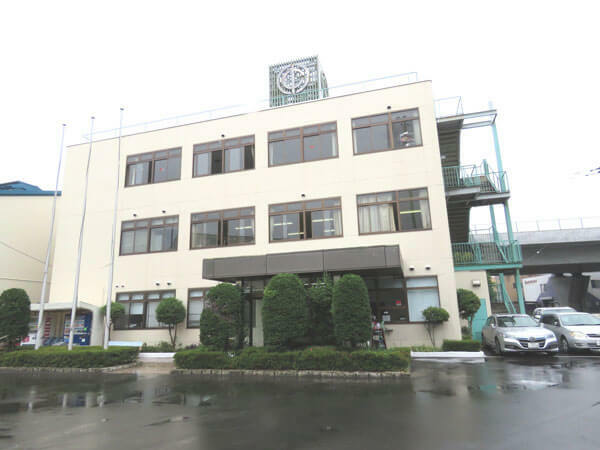 CellUtane is a manufacturer which is headquartered in Atsugi City, Kanagawa Prefecture and has a factory. 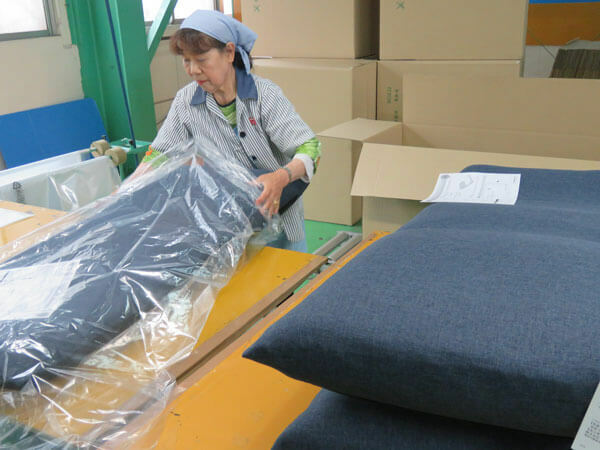 They have produced the products such as sofas, seat chairs and bead cushions using pipe frames in Japan. The premises are wide and there are factories, studios, warehouse to keep the cargo for shipment in addition to the office. While domestic sofa manufacturers are said that they have decreased to less than half of peak term, but CellUtane gained the profit even last year! Great! Besides, this year, they have gotten the milestone of the 50th anniversary since the foundation. We also entered the site where hot products have been manufactured. This time, Tachibana-san who is responsible for SUPER DELIVERY answered at this interview. He is very kind... He made a welcome board at the entrance for me! What a our raccoon logo! We were deeply impressed. They were going to Vietnam for the company travel, they kindly cooperated our interview despite such a busy schedule. --- The site is very wide! All the factories are located here? Tachibana-san: That's right. This site contains factories, headquarters offices and so on. All the assembly processing goes at the factory on this premises, and it will be shipped to the customer. 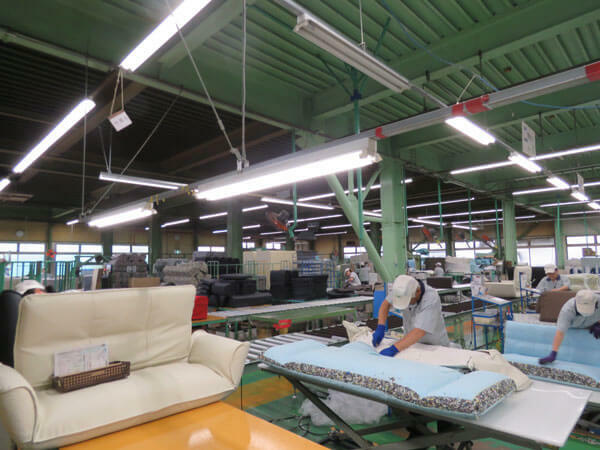 We have our own factory in two overseas locations such as China, Vietnam in terms on sewing covers for products such as sofas and seat chairs, and making pipe frames. --- Is there a warehouse here too? Tachibana-san: We do not have a warehouse which stores inventory. 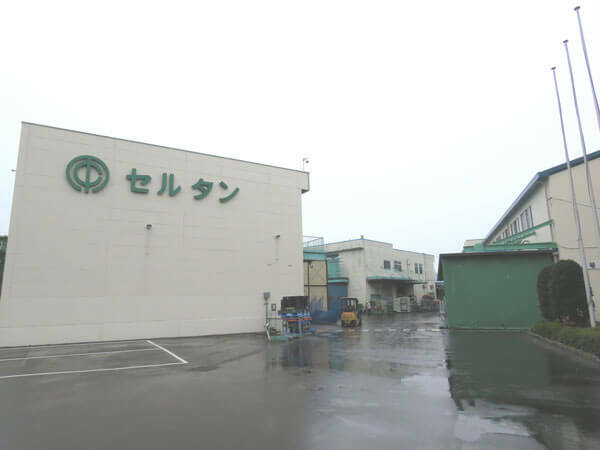 Our company's strength is quickly processing from manufacturing to shipping at Atsugi factory here after we received orders. Therefore it is a style that is fully order-made. As a result, there is no need to have a warehouse which stores product stocks made in large quantities. --- That is your strength! You are not bothered by having stock. 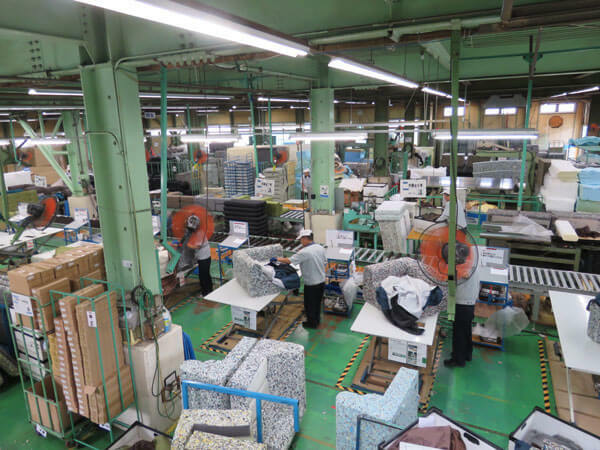 Tachibana-san: Well, there are not so many domestic sofas manufacturers which are consistent from manufacturing to shipping so far. Not only manufacturing fast, we are confident in price and quality too! Let's go to the manufacturing site of the factory! --- Here is a wide worksite! What is this place here? 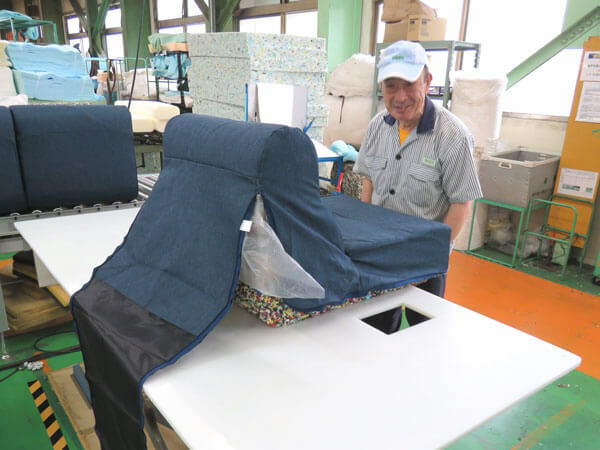 Tachibana-san: Here is the worksite where the fabric is put on the sofa. --- There are also many elderly people, everyone is doing well! Tachibana-san: That's right. There are a lot of people living in this neighborhood, everyone is fine! We also arrange people for each process, and simple work is allocated to each. A skilled craftsmen wrapped the cover firmly. This is a packing worksite for legless chair. It was carefully packed. Tachibana-san: Let's go to a little maniac manufacturing site! --- Oh, what is this white packing? Tachibana-san: This is a pocket coil and the springs are wrapped in white bags respectively. It is a thing which is put in the surface of sofa. Since each coil is independent, the weight is distributed and support your weight by the point rather than the surface. This is not used for cheap sofas well. --- What is this big device? 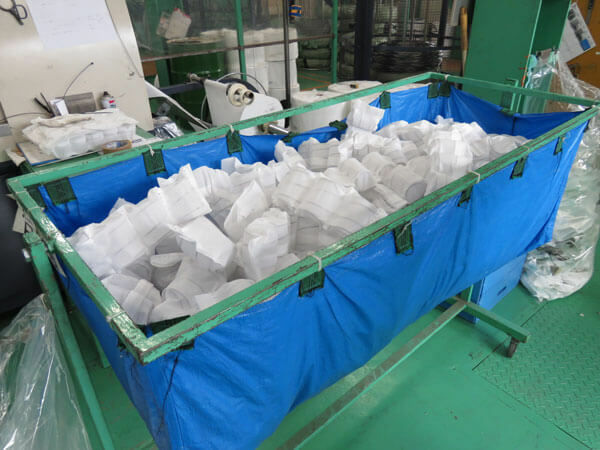 Tachibana-san: We have manufactured the foaming beads which are also the raw materials for Styrofoam with a machine called "Beads Gunfire Machine". Beads of the bead cushion inside are made with these. - It looks like popcorn! This is the inside of the bead cushion! Why does the machine rotate? Tachibana-san: When you look closely, the blade for cutting is fixed, it rotates the urethane block and cuts it. 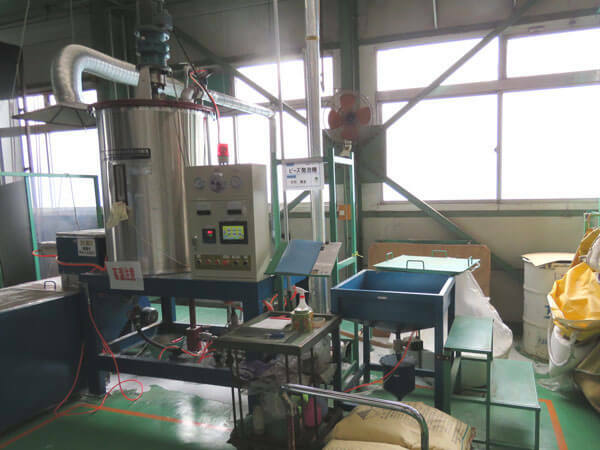 Tachibana-san: In fact, there are many other machines in addition to these, but it is a company secret. lol Since there is a studio for photography, we will introduce the recommended products there! Wow! Here is assembled as a set like a real room! Tachibana-san: Well, since images of actual usage scenes and image cuts are necessary, we made this kind of studio in our company and shoots there. May we introduce our recommended products? Recommendation are couch sofa and bread type legless chair! 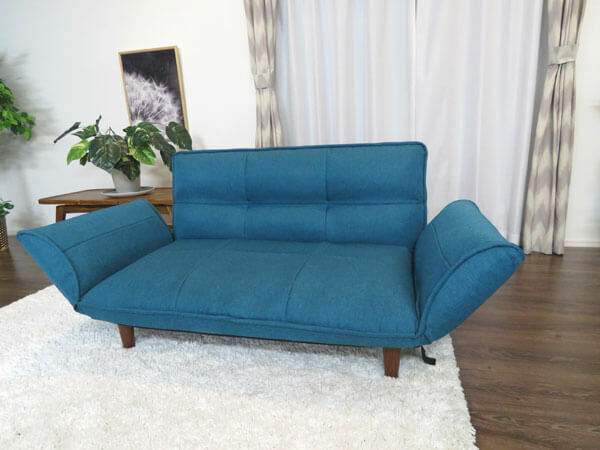 Tachibana-san: This couch sofa has been manufactured with the low budget, and I am confident in quality as well! I think that there are many people who have ever seen because this is the most popular item among our products. The seat surface is also firm and elastic! 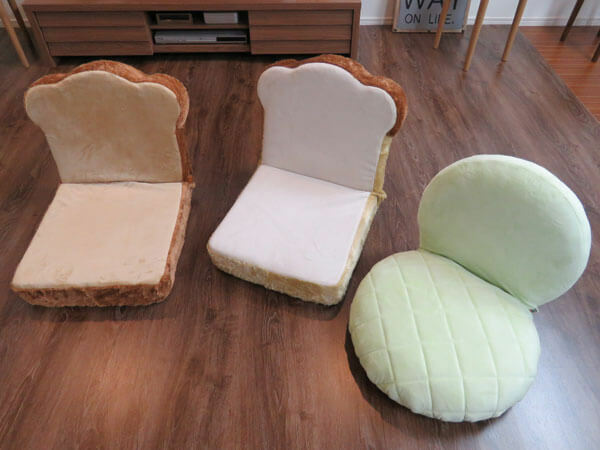 Tachibana-san: Another one is this bread type legless chair. This is also sold well! 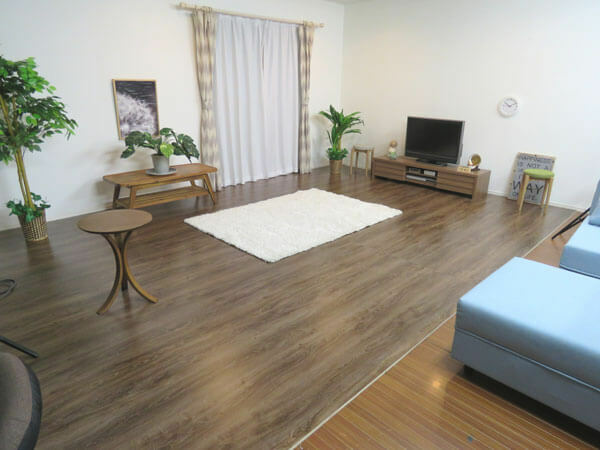 This product does not take up the place so much, so those who not only at the furniture specialty stores, but also at general goods shops can easily put it. It is recommended for the shops which young ladies and children come well! --- Oh, this is cute! I have ever seen it somewhere! Certainly, this product can be put in a general shop easily. --- Finally, what industries are you planning to supply to via SUPER DELIVERY? 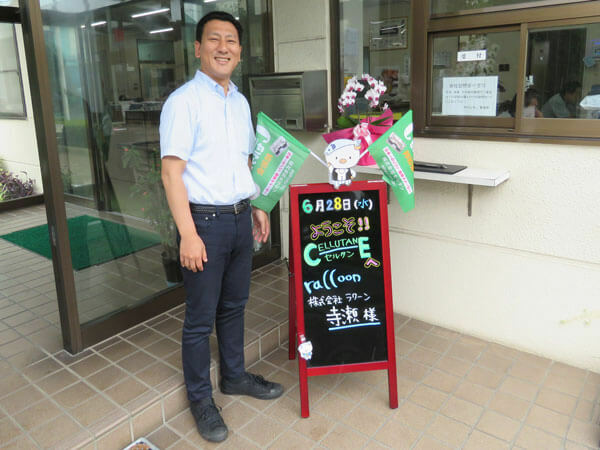 Tachibana-san: We would like to supply for not only to furniture stores but also a wide range of industries. Since we are confident in the product, we would like various people to use our products. We would like to correspond widely industries such as knick-knack stores, cafes, hair salons and beauty salon, vacation Rental and home staging businesses. --- Tachibana-san, thank you for your cooperation very much! The products of CellUtane which cooperated this time can be purchased from here! * All language is Japanese.